If you need Flash, run the following command. 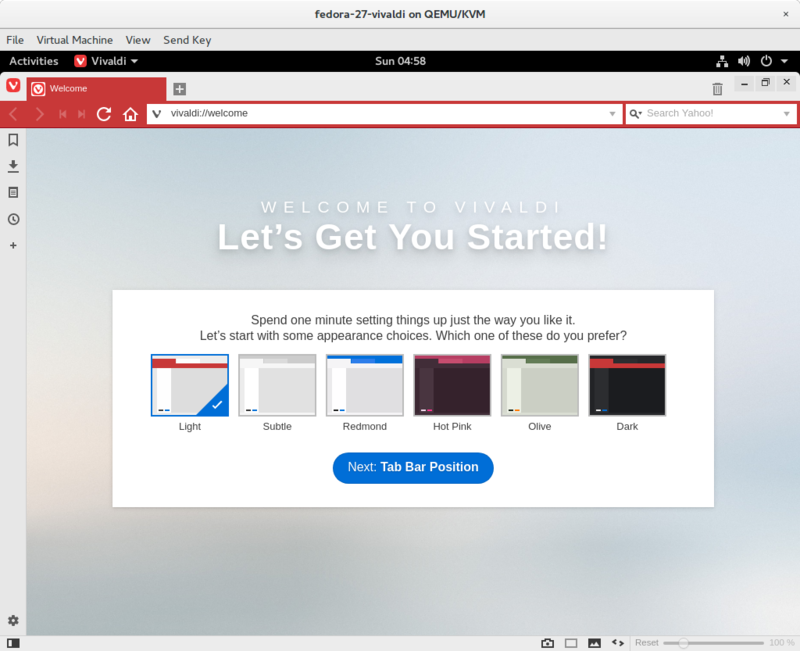 Run vivaldi. This version Vivaldi may cause white blank window on first boot. Just stop Vivaldi and start Vivaldi again, Vivaldi will work (will work also after system reboot).